HOPE VALLEY — Thanksgiving is particularly special for Hope Valley resident Etta Zasloff. Not only do her children and grandchildren come to visit, Nov. 23 is also her birthday. This year, the holiday was even more special because in addition to turning 70, she finally published her book, a project 40 years in the making. Zasloff described the book as an ideal way to mark her 70th birthday. Zasloff’s book is entitled “Beginning with Xs and Os: The Evolution of the Alphabet.” Illustrated by Sam White and published by Stillwater River publications, it is written for children between the ages of six and nine. In rhyming verse, it tells the story of how each letter in the alphabet came to be. Where a shark reshapes him in one swift motion. “As he coughs up water they say, ‘Told you so! Catching his breath, he says, ‘Well whaddya know! Rather than beginning with the letter A and ending with Z, Zasloff took an unorthodox approach that became the foundation of her book. From kindergarten, she went on to teach fourth grade at a different school. Zasloff hung on to her alphabet stories, hoping someday they could become a book, and in 1981, she decided to see if they could be published. No one was interested.“It was 26,000 words, 86 pages, double spaced, typed. I actually had the audacity to send it to some of the big [publishing] houses, and got rejected,” she said, laughing. In 2003, Zasloff and her husband Frank decided they wanted to move to the Northeast to be closer to their two children, both of whom live in Boston. They explored most of northern Rhode Island, but one day, on their way back to West Virginia after a visit, they drove through Hope Valley, were smitten by its rural charms, and bought a house there. Zasloff taught sixth and seventh grades in the Chariho Regional School District until her retirement in 2014. Through the job changes and the move, her book languished in a filing cabinet until one day, she opened the cabinet and saw it there. After learning that children’s books were usually much shorter than her manuscript, she edited ruthlessly to try to arrive at the required 1,000 words. “Well, I tried like Hell, and I got it down to 1,900, but it takes that many words to tell the story,” she said. 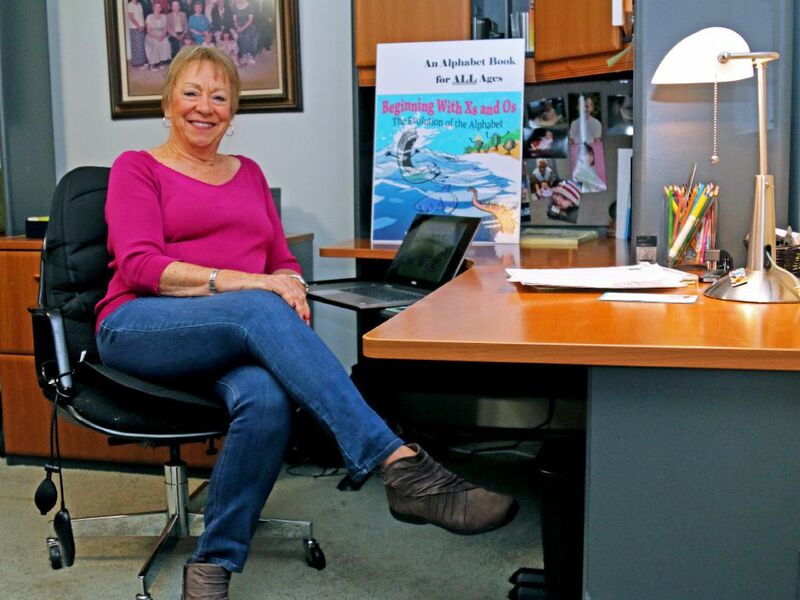 Zasloff met her eventual publisher, Steven Porter, when she enrolled in a class he was teaching at the Osher Lifelong Learning Institute at the University of Rhode Island. She found Providence illustrator Sam White by advertising online. Zasloff had received submissions from several illustrators, but she liked White’s modern look, and her grandchildren agreed. “Every single one of them picked, independently, Sam’s picture,” she said. The day before Thanksgiving, Zasloff was sitting in her living room, awaiting delivery of the first hard copy of her book, while simultaneously planning a holiday feast for nine. After 40 years of having the book in waiting and finally seeing it published, she admitted to being on a definite high. Even after her cleaning spree, Zasloff has plenty to do. She sits on the building committee for the Chariho Alternative Learning Academy, does technology training for seniors, and in the summer, plays golf.